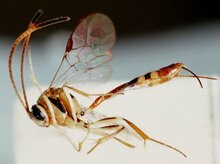 Idiobiont or Koinobiont endo or ectoparasitoids of immature insects (Coleoptera, Lepidoptera, Diptera, Hymenoptera, Rhaphidioptera, Trichoptera) or Chelcerata (Araneae and Pseudoscorpionida eggs, adult Araneae). Seyrig, A. 1932. 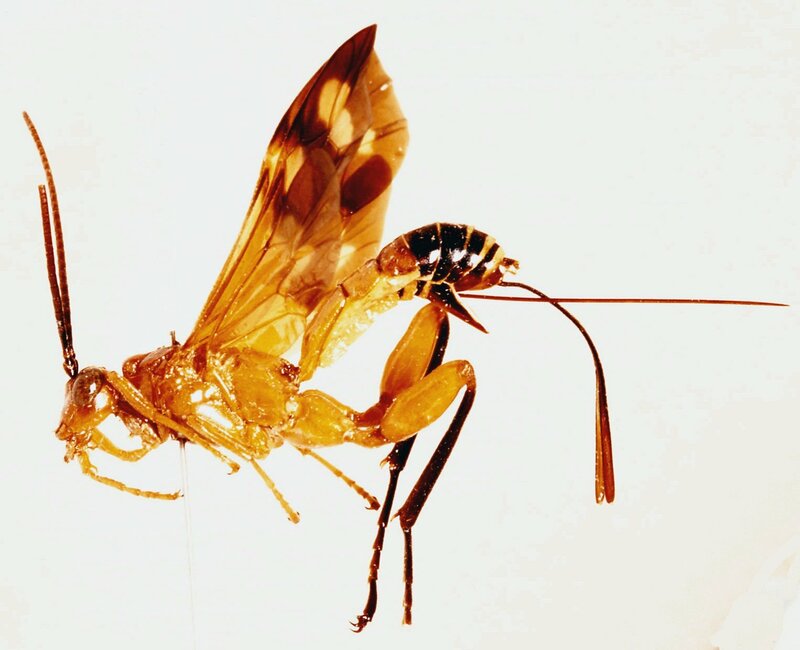 Les Ichneumonides de Madagascar I. Ichneumonidae: Pimplinae. 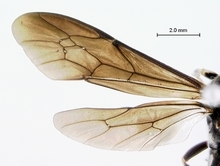 Mémoires de l'Académie Malgache, 11, 1–183. 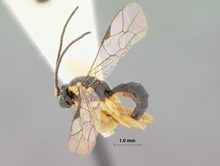 An E-typing initiative to photographically document the type specimens of Afrotropical ichneumonids to facilitate the identification of specimens collected during biodiversity inventory surveys. 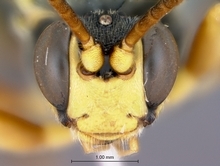 Types of 604 species, representing 314 of the 360 Afrotropical genera, have so far been photographed in European museums and web pages are currently being developed for these species. 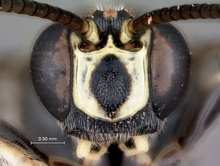 Species pages can be accessed through the Classification pages. Online keys are currently being developed. 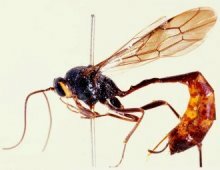 The Ichneumonidae is one of the most species rich families of all organisms with an estimated 60 000 species in the world (Townes 1969). Even so, many authorities regard this figure as an underestimate (Gauld 1991). 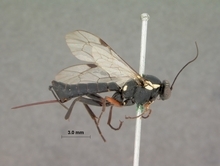 An estimated 12 100 species of Ichneumonidae occur in the Afrotropical region (Africa south of the Sahara and including Madagascar and surrounding islands) (Townes & Townes 1973), of which only 2097 species have been described in the 360 genera in 26 subfamilies recorded from the Afrotropical region (Yu et al 2011). 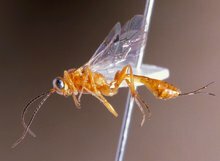 This means that only 17% of the Afrotropical ichneumonids are known to science! 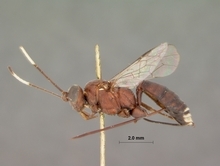 Quantitative studies of ichneumonid species richness are scarce in Africa. 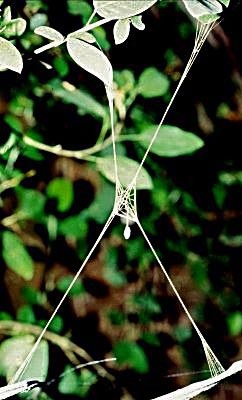 A limited number of assessments have been conducted in Sierra Leone and Uganda (Owen & Owen 1974); Namibia (van Noort et al. 2000); Gabon (van Noort 2004); Central African Republic (van Noort in prep. 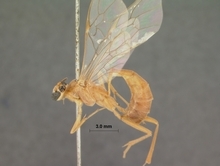 ), Tanzania (van Noort in prep.) and South Africa (van Noort in prep.). 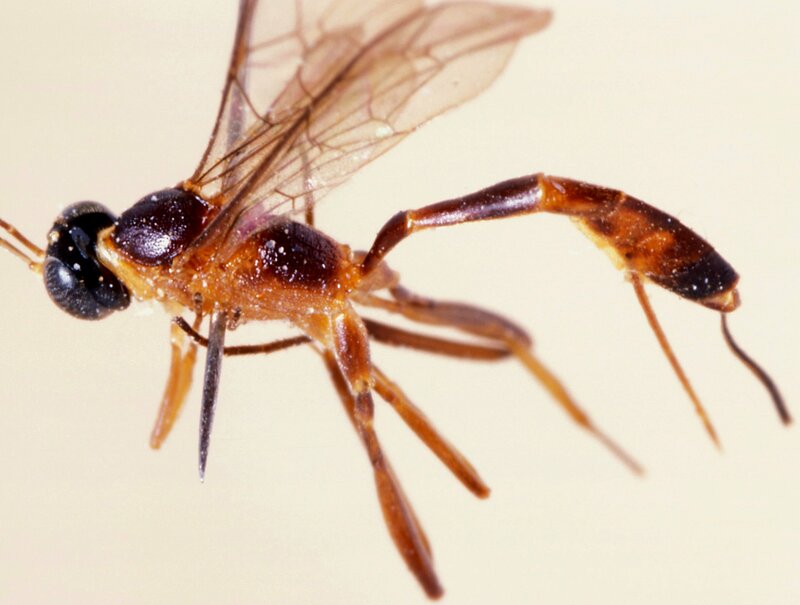 Very little is known about the ichneumonid faunas of the majority of African countries. 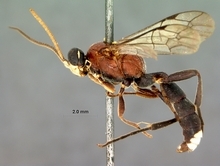 The Ichneumonidae, along with other groups of parasitic Hymenoptera, are supposedly no more species rich in the tropics than in the Northern Hemisphere temperate regions (Owen & Owen 1974; Janzen 1981; Janzen & Pond 1975), although a number of hymenopteran families, for example the Chalcididae (Hespenheide 1979) and Encyrtidae (Noyes 1989b) exhibit an increase in species richness with a decrease in latitude. 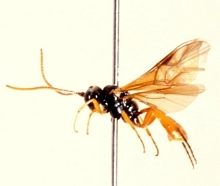 Other hymenopteran taxa such as sawflies (Symphyta), gall-forming Cynipidae and bees (Apoidea) peak in species richness at mid or high latitudes (Michener 1979; Noyes 1989b; Kouki et al. 1994). 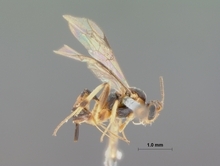 Considerable debate has centered on the apparent species richness anomaly exhibited by a number of hymenopteran parasitoid taxa in the tropics (see Morrison et al. 1978; Gauld 1991; Gauld & Gaston 1994). 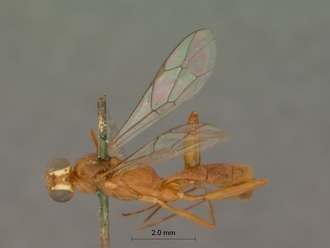 Ichneumonids utilise a diverse array of insects and arachnids as their hosts and play an essential role in the normal functioning of most ecosystems, underlining the need to inventory their diversity. 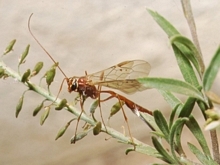 Ichneumonids have been used successfully as biocontrol agents and given the largely undocumented fauna there is a huge potential for their use in managed biocontrol programmes (Gupta 1991). 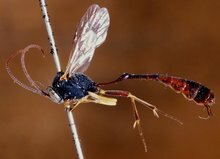 Comprehensive quantitative biodiversity surveys will enable the identification of hotspots of species richness and endemism; essential base line data that will enable informed future conservation management decisions. This project was made possible by an International Science Liaison research grant (GUN 2068865) received from the National Research Foundation (South Africa) in conjunction with the Italian Ministry of Foreign Affairs. I am particularly grateful to my Italian colleague, Professor Massimo Olmi (Department of Plant Protection at the University of Tuscia in Viterbo) and his wife Rosella for their very kind hospitality and support during our stay in Italy. 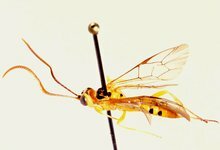 I would also like to thank all the curators of collections housing Afrotropical ichneumonid types for their kind assistance and hospitality during my visits to their institutions (in no particular order): Roberto Poggi (Museo Civico Di Storia Naturale “Giacomo Doria” in Genova); Mauro Daccordi (Museo e Instituto di Zoologia Sistematica in Torino); Claire Villemant (Museum National d'Histoire Naturelle Paris); Eliane de Coninck and Joseph de Becker (Royal Museum for Central Africa, Tervuren); Patrick Grootaert (Royal Belgium Institute of Natural Sciences, Brussels); John Noyes and Sondra Ward (Natural History Museum London); Stefan Schmidt and Eric Diller (Zoologische Staatssammlung Muenchen).